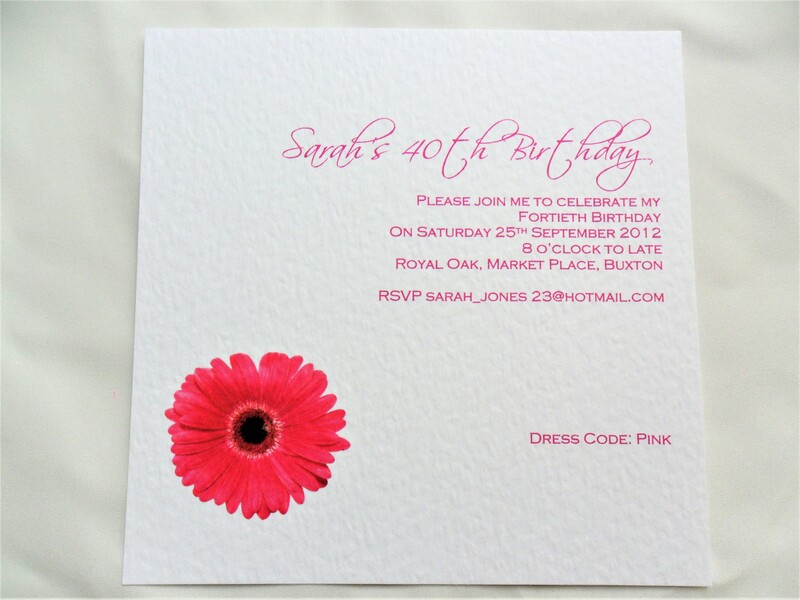 Square Birthday Invitations are printed on a thick top quality heavy weight (270 gsm) hammered card and are available in white or ivory. 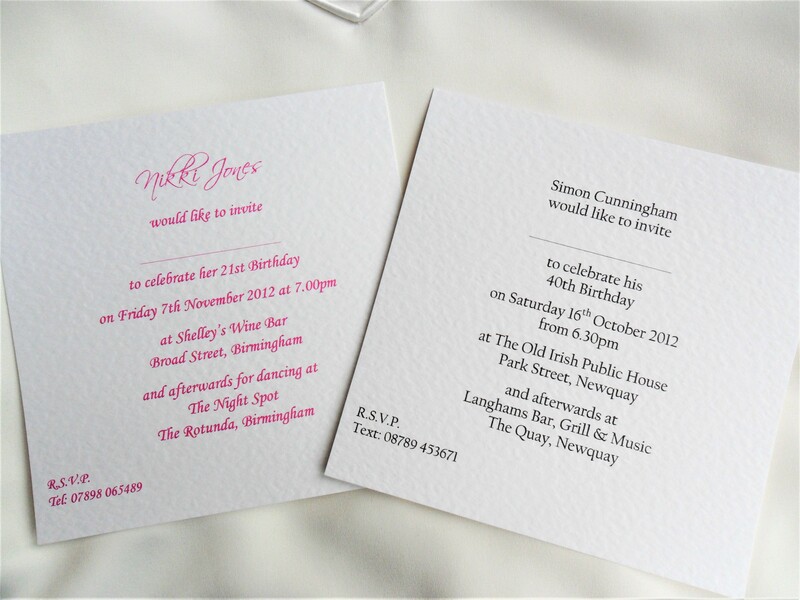 We also have matching guest information cards and RSVP cards available. 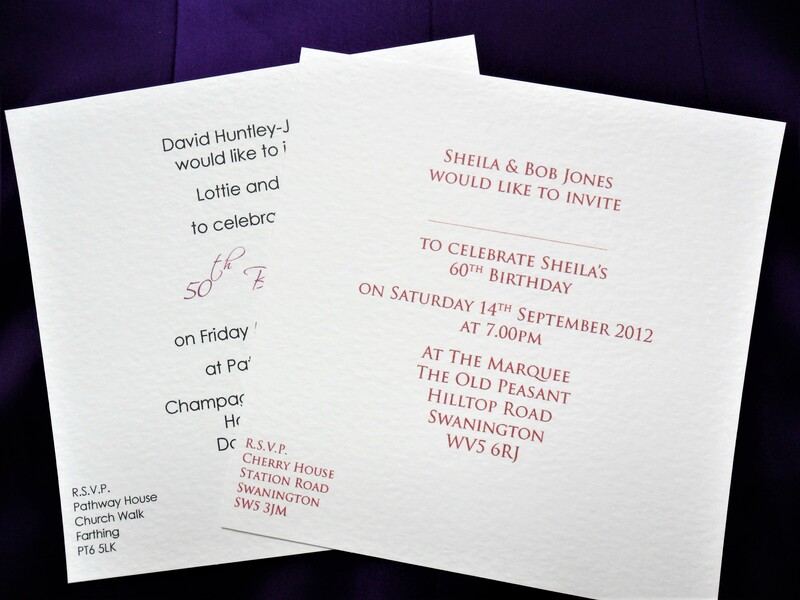 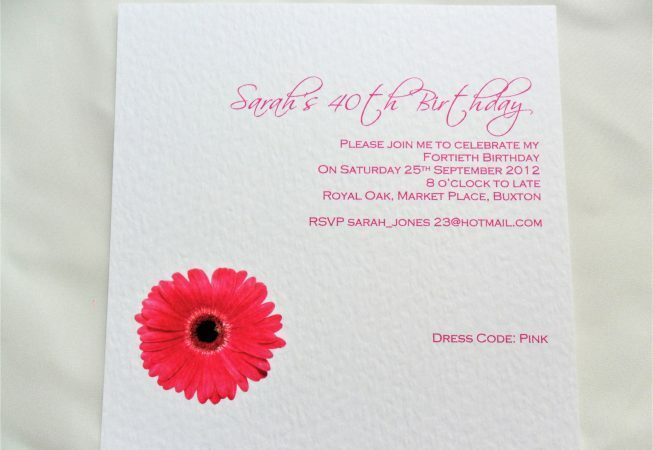 Birthday invites can be printed in any typeface of your choice.